File Types: AI; File Size: 5.28 MB; Vector: Yes. After shave flat icon set. 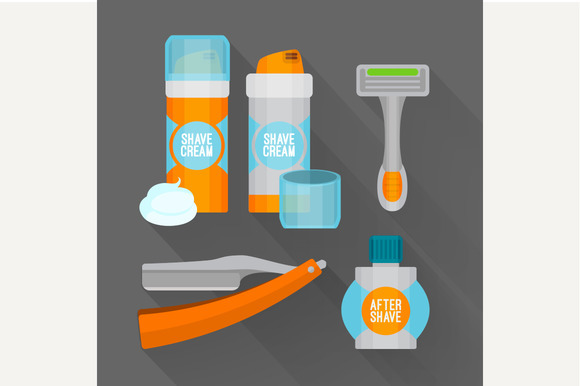 Shaving razor, shaving foam, after shave balm vector icons. After shave flat icon set. Keywords: accessory, barber, barbershop, bins, biodegradable, bottle, brush, care, category, cleaners, cleaning, collection, comb, concept, containers, cosmetic, cream, deodorant, deposit, diversified, flat, foam, gel, grooming, hair, hygiene, icon, illustration, isolated, material, nature, not, perfume, plastic, pollution, razor, rubbish, save, scissors, segregation, separate, separately, shave, sorting, symbol, travel, used, vector, waste.